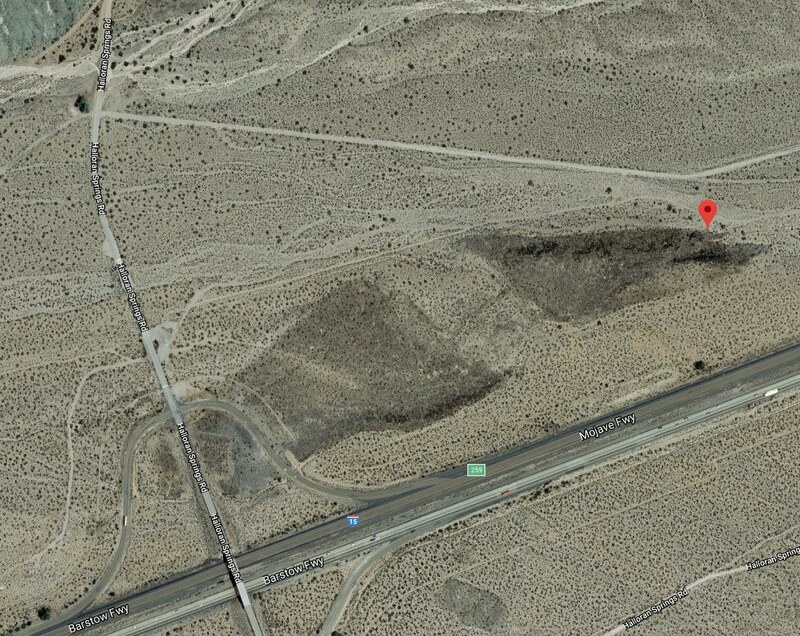 There's a small collection of glyphs right off the interstate highway in the Mojave Desert of southern California. 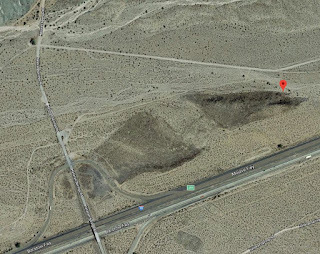 The Halloran Springs exit is about 12 miles north of Baker (the town with the tall thermometer) on I-15 between Los Angeles and Las Vegas. After an additional drive of 1 mile and a short walk of 30 yards I found the petroglyphs on an outcropping of black rocks. Finally, here's a shot of my car parked on the fiber-optic cable service road. That's as far as I had to walk. I learned about this site from Secret Places In the Mojave Desert, Volume III by Death Valley Jim. I take this exit several times a year to drive the nearby 4wd trails. I never knew there was a petroglyph site nearby. I didn't stop to look for the rock rings and circles that DV Jim described. I was in a hurry to get to some 4wd trails I was driving that day.